Read THIS Before Buying Your Next Batch of Protein Powder! When I first tried protein powder by Naturade, I tried their Pea Protein, Vegan Formula in Vanilla flavor. I was overjoyed to find this in my local natural foods store because it has 20 grams of plant based protein, potassium, and some fiber. Basically all I would need to boost my protein intake or help my body out when I have a french fries only day. But then again, on those days I am still supplementing with vitamins, omegas, etc. Well, it wasn't until I tried Naturade's VeganSmart All-In-One Nutritional Shake that I thought of their Pea Protein powder as great and all, but more like VeganSmart's annoying (but still loved) little brother. Naturade was nice enough to send me some VeganSmart to try. And as a technicality, I must disclose that I am only paid in VeganSmart sample packets, and no other green stuff. As you can see from my picture, the packaging is a lot more hip looking than their Pea Protein packets. You can get VeganSmart in Vanilla, Chocolate, and Chai flavors. 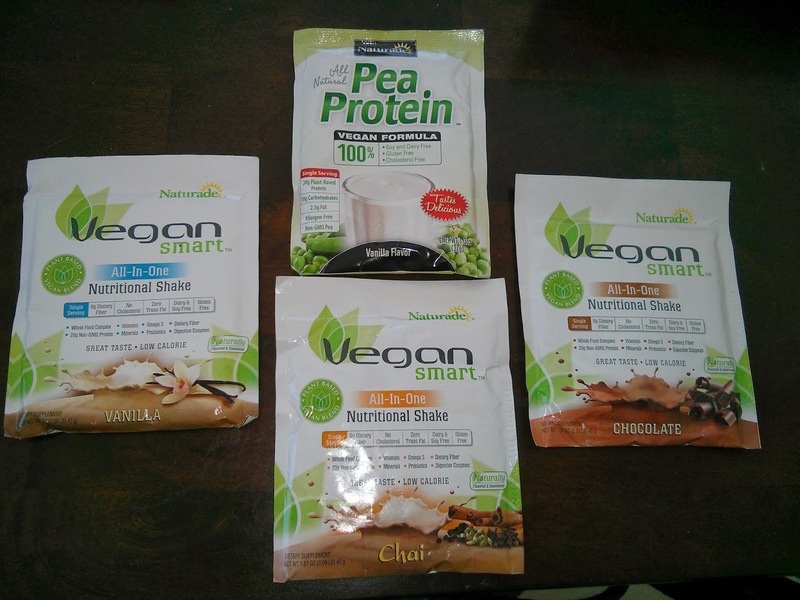 In my opinion, Naturade is like the better version of Vega protein powder, and I'm not just saying that because Vega hasn't sent me any samples, I say that because VeganSmart is cheaper to buy, and it tastes better than Vega. Now let's take a look at the scientific stuff. 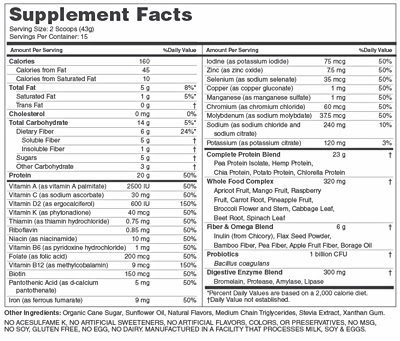 As you can see from this picture of the Supplement Facts in Naturade VeganSmart, this can be a vegan's most valuable insurance policy. With a healthy vegan diet and drinking one of these babies everyday, how can anyone say that they are deficient in anything as result of a vegan diet (unless there is seriously something medically wrong with them, like they can't absorb nutrients correctly)? Not only are you getting 20 grams of plant based protein in each shake that you make with each packet, the protein that you are getting is complete (Pea, Hemp, Chia, Potato, and Chlorella). And 20 grams of protein in your daily diet that comes from something other than soy, will shut your friends and relatives up won't it? Yeah, if you are vegan you know exactly what I mean. Other than protein, this is an all-in-one nutritional shake, including good stuff like a whole food complex (yes, with real food), fiber and omega blend, probiotic blend, and digestive enzyme blend. Looks like I only have to drink this and take my daily vitamin rather than supplementing to achieve a superior level of healthy everyday. VeganSmart has everything that I would want and more! This is what I want to have tons of in an apocalyptic situation. These shakes taste great too! They are decent on their own, but I recommend vegan milk and/ or fruits and ice. 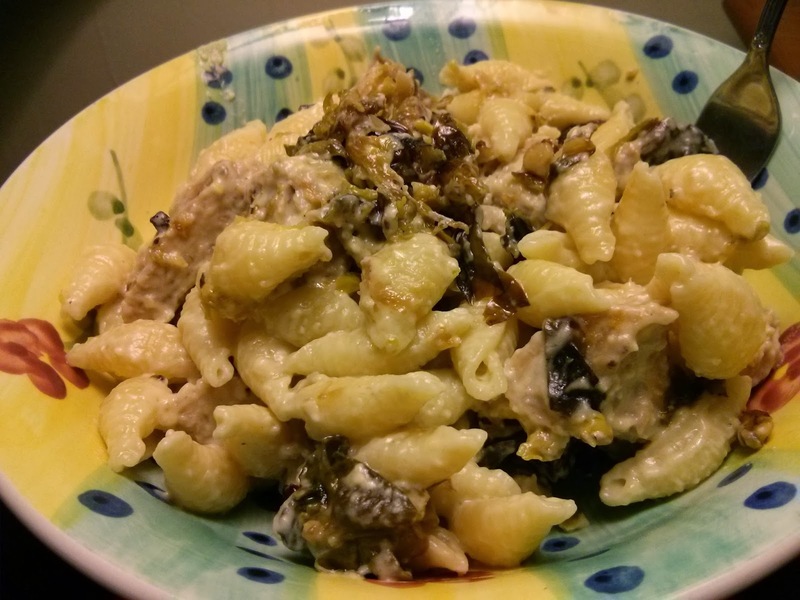 I have created a yummy recipe for you to try with Naturade. 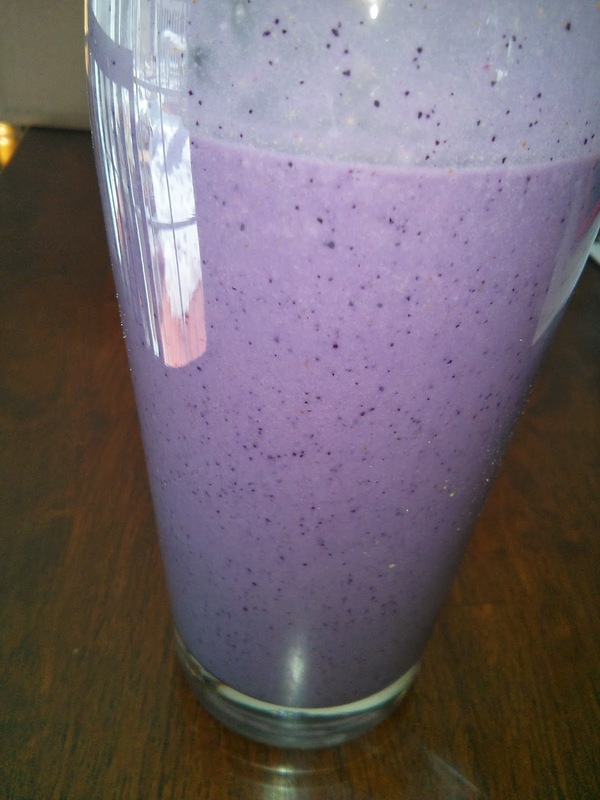 I call this peanut butter and jelly tasting shake the Purple Protein Monster! 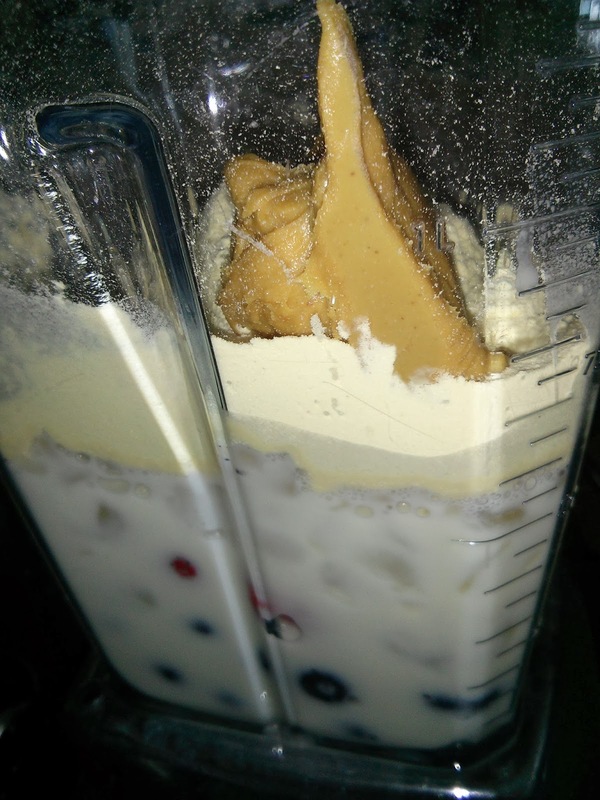 Add 1 packet/ serving of Vanilla VeganSmart in blender with 9 ounces of almond milk, 1 cup of blueberries, 1 cup of strawberries, 1 cup of ice, and 1 tbsp peanut butter. Blend all ingredients for at least 30 seconds. Naturade's VeganSmart tastes delicious, is packed with lots of protein, 22 vitamins and minerals, and lots of other really great stuff! I loved the taste, but I also loved the way it made me feel. My body started feeling better than it had before I drank the protein shake. I also felt a gentle energy boost. This protein is terrific for breakfast to replenish your body after the fast of the night, or ideal after a workout for recovery. And you gotta love how this product is nearly half the price of those other vegan protein powders and has the same all-in-one nutrition that us vegans desire. Hey, anything that provides me a healthy cushion so that I can still enjoy my vegan pancakes and french fries, is alright in my book! And for now, the Dirty Vegan is signing off. 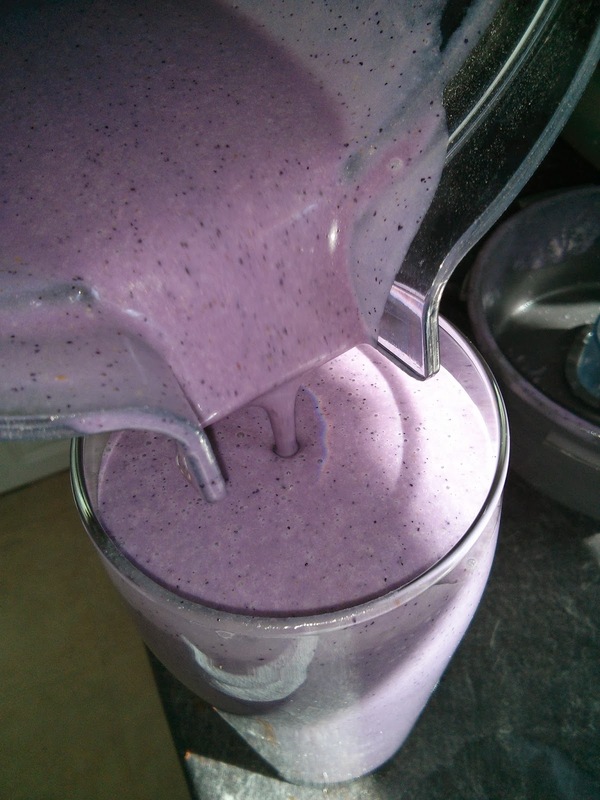 Hats off to Purple Protein Monsters and Pea Protein! 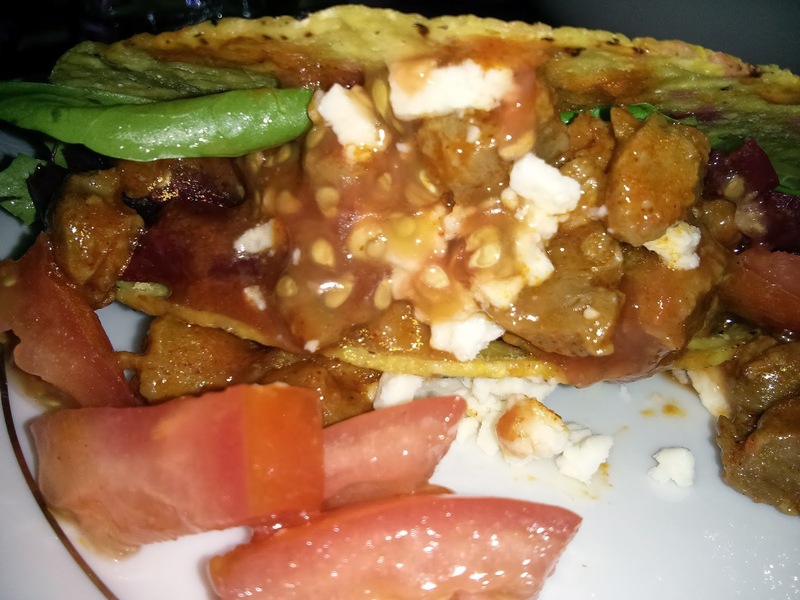 A Website Full of Vegan Meats & a Taco Recipe! Recently I came across a website called FakeMeats.com and needless to say, I was intrigued. FakeMeats.com is everything that it's name suggests and so much more. Pretty much anything fake meaty can be found on this website. You will find items like vegan meats of pretty much any kind and also condiments, meal starter kits, broths, and other fake meaty spices! You can also grab a gift basket, sign up for a subscription service or meal pack, and so many other fun foodie things! And currently, they are including a recipe card with each order. Seems like they always have cool promotions going on. This website is pretty incredible. 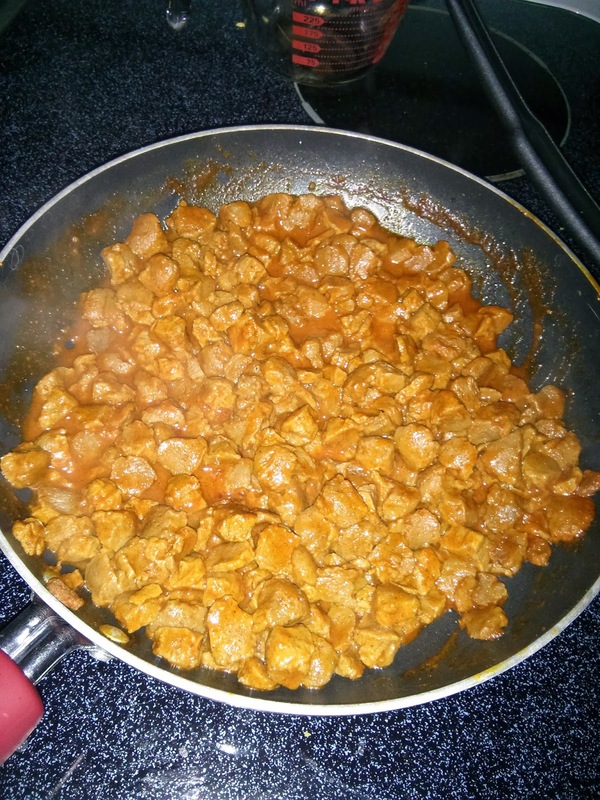 Easy Indian Authentic Tikka Masala packet that makes an authentic Indian dish when added to a few other simple ingredients like vegan protein, tomatoes, and oil. This packet smells so amazing and I cannot wait to make this dish and post the recipe on here soon! Edward & Sons Not-Beef rich and savory broth and seasoning cubes, which make an absolutely beautiful broth and are extremely convenient and easy to use. These taste great added to soups and any recipe that calls for broth or meaty flavor. Definitely a must have; I love this product. Seitenbacher Vegetable Broth and Seasoning packet is also another vegan broth that adds a beautiful color and flavor to any vegan dish. You can use this in soups, stews, and boiled meals and it truly adds a special something. 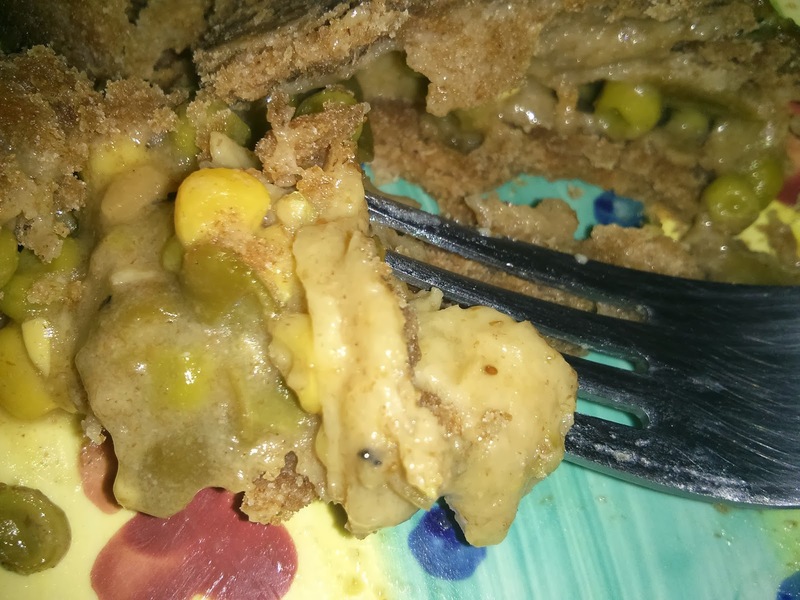 Great Life by Lucinda Garden Veg Veggie Burger Mix that makes veggie burger patties simply by adding hot water and cooking! Voila! I will be posting a separate post and recipe using this soon. 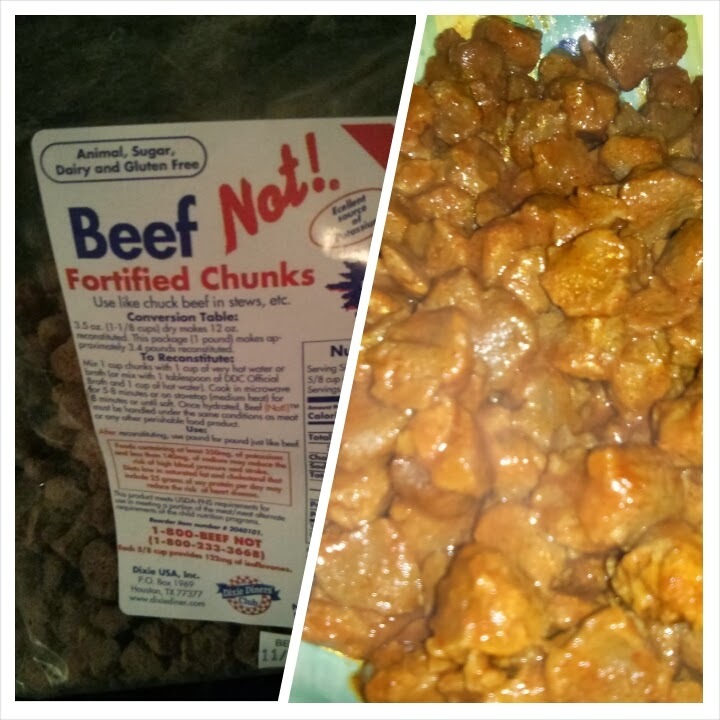 BeefNot fortified chunks that are dehydrated and you rehydrate them and use them in any meal the same way you would use any other vegan protein. These are really neat for a lot of reasons, but a big reason is that they can hang out on your shelf until you are ready to use them and have a much longer shelf life than refrigerated vegan meats. BeefNot also has a whopping 25 grams of protein per serving, and the servings are only 140 calories each! That is just amazing! The entire 1 pound dry bag makes 3.4 pounds when rehydrated! At first I was scared to try these because they look and smell kind of like dog food that someone would give to their dog if they didn't like them. It was weird at first, not gonna lie, but after I rehydrated and cooked these fake beefy morsels, I got a run for my money! 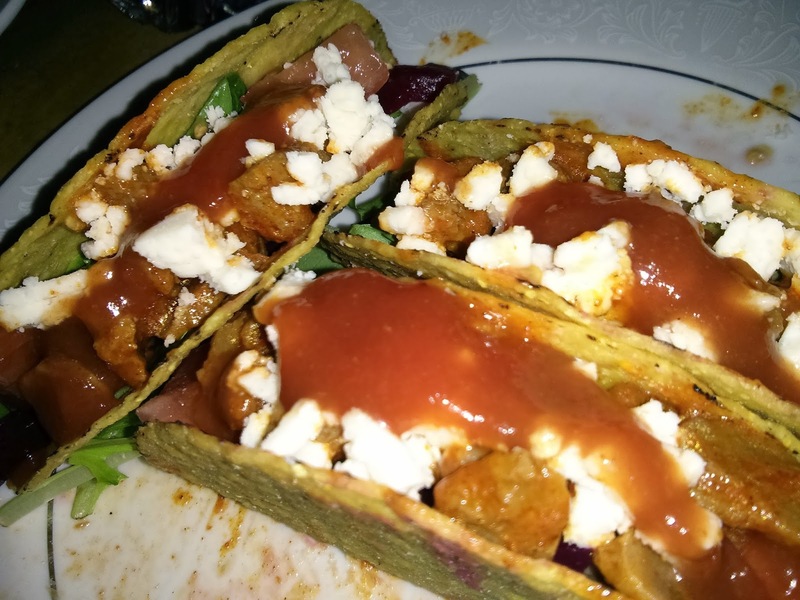 These were absolutely amazing (as you can tell from the before and after picture below) and were awesome in my vegan taco recipe that I'm sharing with you right now. Before: Kibble-resembling BeefNot. After: Hot and steamy BeefNot! Butler Soy Curls were the last item in my FakeMeats.com package. 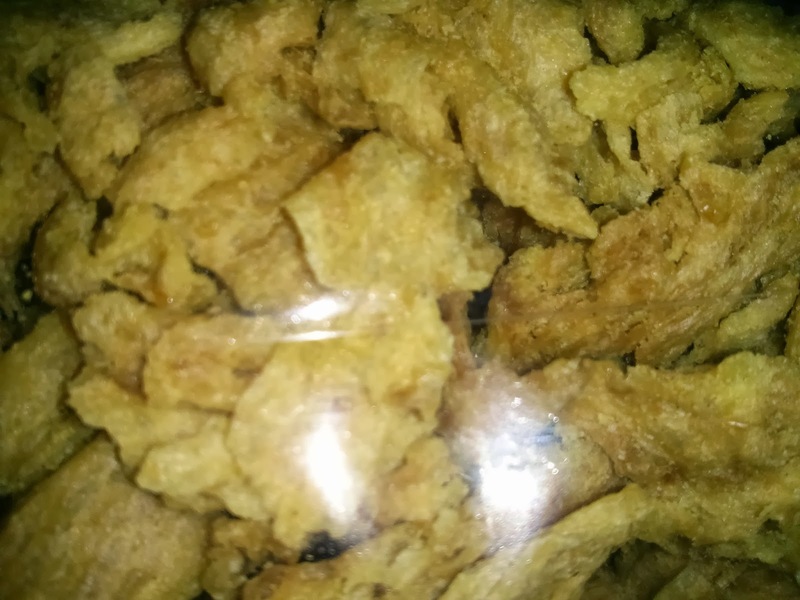 Soy Curls are dehydrated vegan "chicken" that are so simple to use and taste absolutely delicious! This versatile product takes just 10 minutes of soaking in warm water, then drain and use in anything and everything! I will be posting some recipes using these in the future, so stay tuned! Place taco shells on a cookie sheet and bake on 325 degrees for 7 minutes. Put BeefNot and water in a bowl and microwave for 5 minutes, then drain. Heat oil in skillet on medium heat then brown BeefNot. Add taco seasoning and finish cooking according to taco seasoning packet instructions. Finally, fill taco shells with BeefNot and remaining ingredients. Enjoy! Look at how amazing this BeefNot turns out! Who would have known? 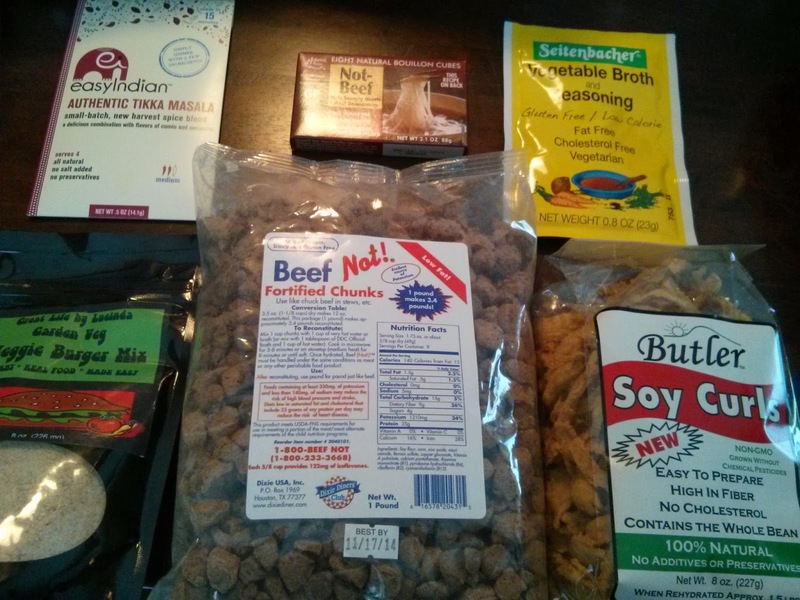 And if all this wasn't too good to be true, FakeMeats.com also has a jerky of the month club! You read that correctly. Vegan jerky of the month club! And guess what, I'll be trying it out! Each jerky of the month package that I receive, I will be posting and sharing my reviews with you! So check back here for that. Be sure to check out FakeMeats.com, browse their comprehensive variety of vegan meats and other items, and get your jerky on! This is Steven and Kim, the owners of FakeMeats.com. This is a small, family owned and operated business. So not only can you get groovy vegan goods, but you can also support small business, which I love. Us little guys have to stick together! 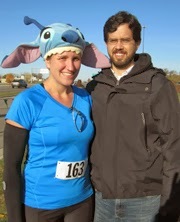 To learn more about Steven and Kim, check out their About Us section on their website. BREAKING NEWS: Candy Bars Disguised as Protein Bars! In my time, I have tried many protein bars. Most of them boast that they taste dessert-like or that they taste incredible and they usually taste like cardboard. 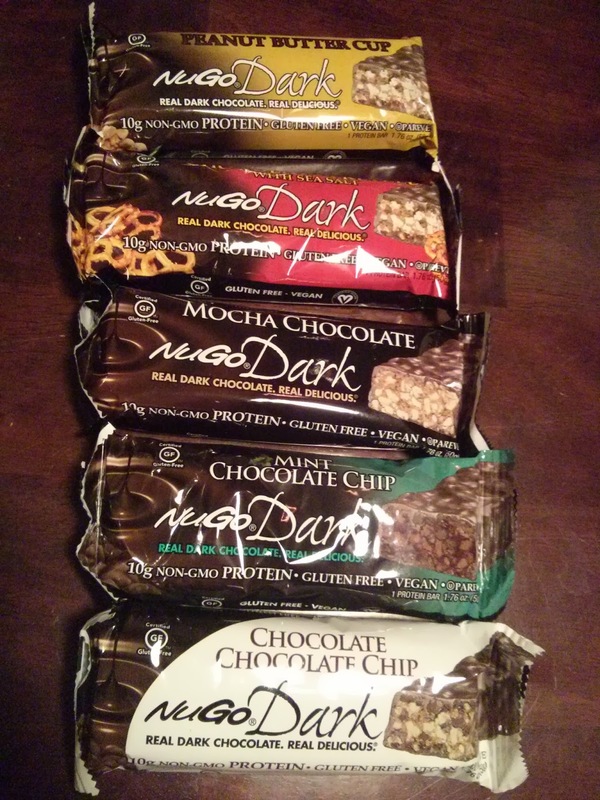 I can say with all honesty, that NuGo Dark bars are the superstars of protein and nutrition bars, hands down. NuGo Nutrition makes a ton of bars with lots of organic and/or vegan options, but the NuGo Dark bars are definitely my faves; they taste just like candy bars! And they have a couple new flavors, so I'd like to tell you about them. I've always loved the Mocha Chocolate and Chocolate Chocolate Chip flavors, but recently they sent me a couple new ones, including their two newest Darks, Peanut Butter Cup and Chocolate Pretzel. Upon opening the new ones, I thought to myself, "Okay, they look the same as the others. Crisps covered in dark chocolate. What's the big deal? ", but then once I tried the Peanut Butter Cup and the Chocolate Pretzel bars, I was impressed! NuGo Dark bars have always been an exceptional protein bar (NEVER having the nasty protein bar aftertaste, you know the one) but these two new flavors are amazing! I really liked the Mint Chocolate Chip, but to be honest, I could live without it. My faves are the four others. These bars are crispy, protein packed (10 grams of protein per bar! ), real dark chocolate (that melts so deliciously in your mouth!) dipped, nutrition bars, that taste more like a dessert than a recovery supplement. Eating these after a workout is the best treat ever! I love that eating one of these when a sweet tooth craving strikes, not only satisfies that craving, but also is a way to not cheat on a healthy eating plan, while curbing that hunger at the same time. These bars have a lot of health benefits in addition to a protein boost. In each bar you are getting antioxidants; I absolutely love a "candy bar" that delivers a nutritional advantage as well. I have to mention that these bars are a great compliment to a nice cup of hot or ice coffee. A NuGo bar PLUS a vanilla iced coffee with extra soy milk EQUALS my weakness! You can find these bars at Whole Foods Markets, other health food stores, or on their website. To find a participating retailer that carries these delicious NuGo Nutrition products, check out their store locator. I really adore these bars and I'm happy to be able to share the good news with you. Hopefully you'll get to try them, if you haven't already, especially their newest flavors! And for now, the Dirty Vegan is signing off. Here's to chocolaty deliciousness! 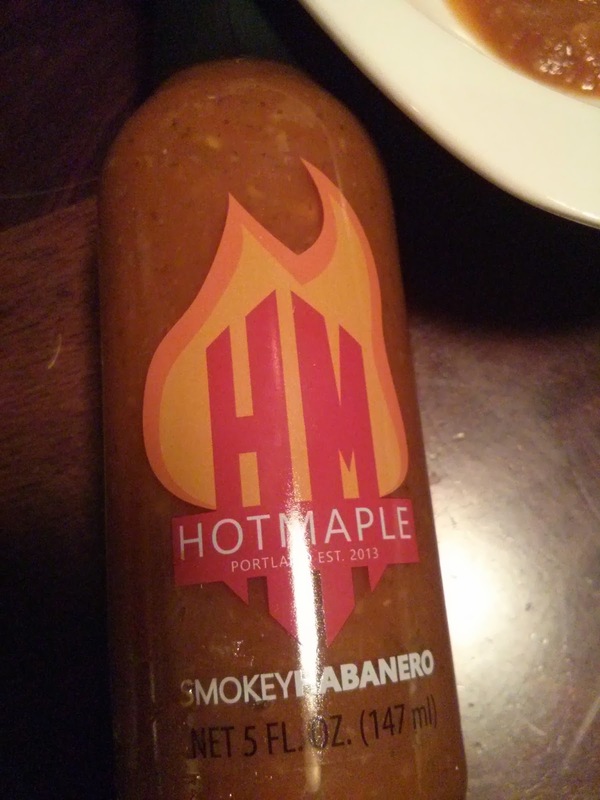 Hot Maple! 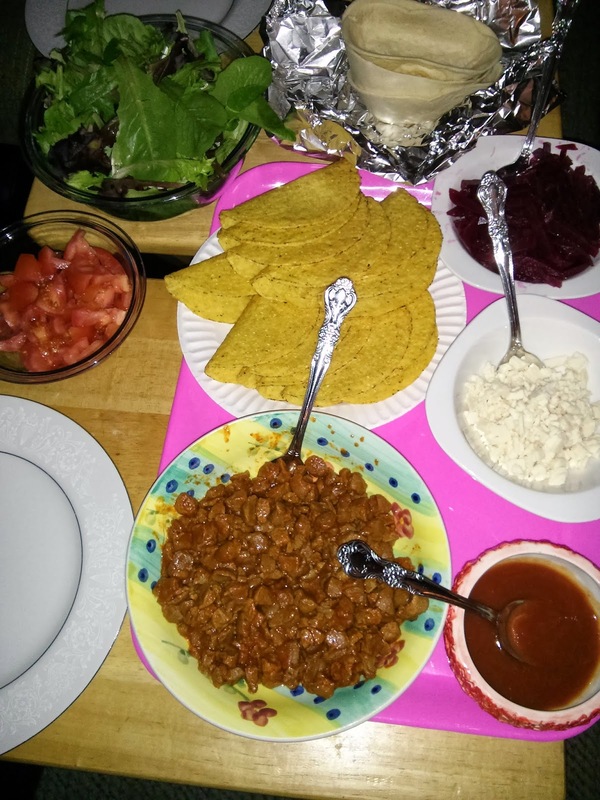 Review, Recipe, & GIVEAWAY! 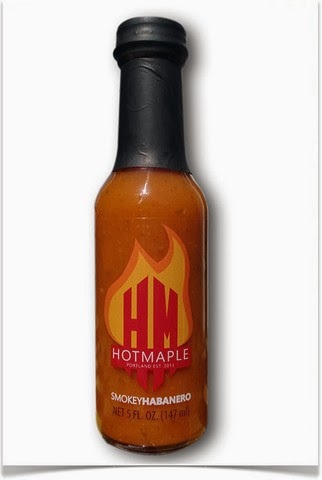 Hot Maple has a subtle maple flavor but is not overpoweringly maple flavored whatsoever. My husband and I love spicy and I'm somewhat of a hot sauce snob; I must say this is really spicy stuff. I really enjoyed the smokey, spicy, with a hint of sweet flavor. The texture is really lovely since it is slightly chunky. 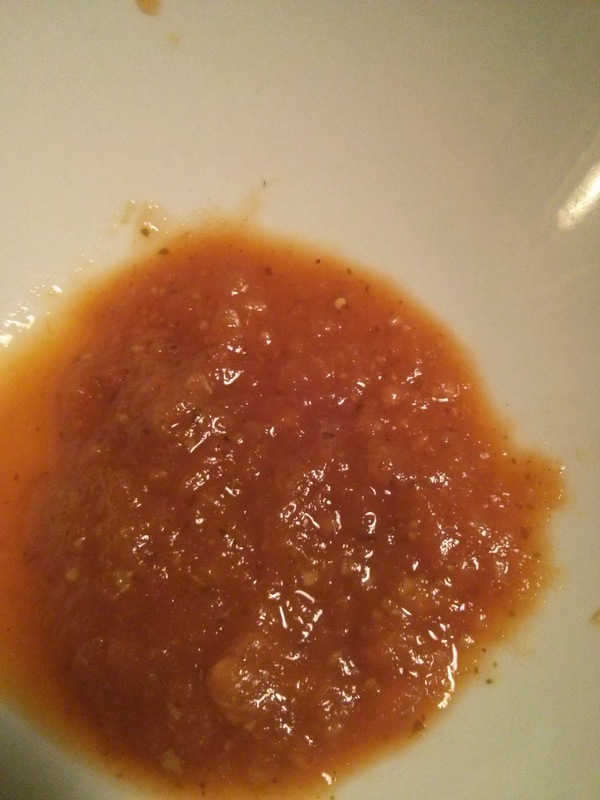 I love a really delicious, textured hot sauce that is not watery and runny. This hot sauce would be great in any recipe but I think especially great in Mexican dishes like salsa, guacamole, tacos, etc. Here is the first of many recipes I will post using Hot Maple. I made this rustic potatoes and vegan sausage dish that can be served as a hearty side or alone as a meal. I chose to make this dish using Hot Maple Smokey Habanero Sauce because I feel that the ingredients, especially the potatoes, compliment the flavors in the hot sauce, especially the warmness of the habanero and maple. Rustic Spicy Potatoes and "Sausage"
Boil potatoes, drain and set aside. 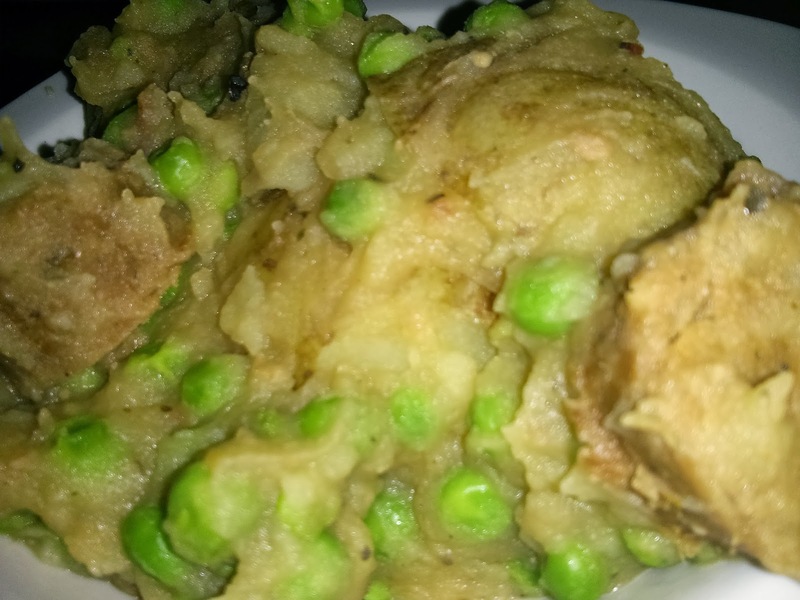 In a large pan, heat olive oil and cook frozen peas until thawed. Then add in sausage and cook for a moment or so. Next, add potatoes and remaining ingredients and cook until thoroughly warmed and combined. Enjoy! Follow me on twitter: @theDirtyVegan and Tweet about the contest (mention @theDirtyVegan to get credit)! Tweet and comment as much as you'd like! Each additional Comment and Tweet after your initial entry are BONUS entries! I will choose the winner this Saturday, February 22nd at 8:00 PM EST, so until then, enter away! Good luck, this is a very spicy prize! Beans are the New Trail Mix! Move over Trail Mix, there's a new healthy snack in town! Gone are the days of boring snacking. 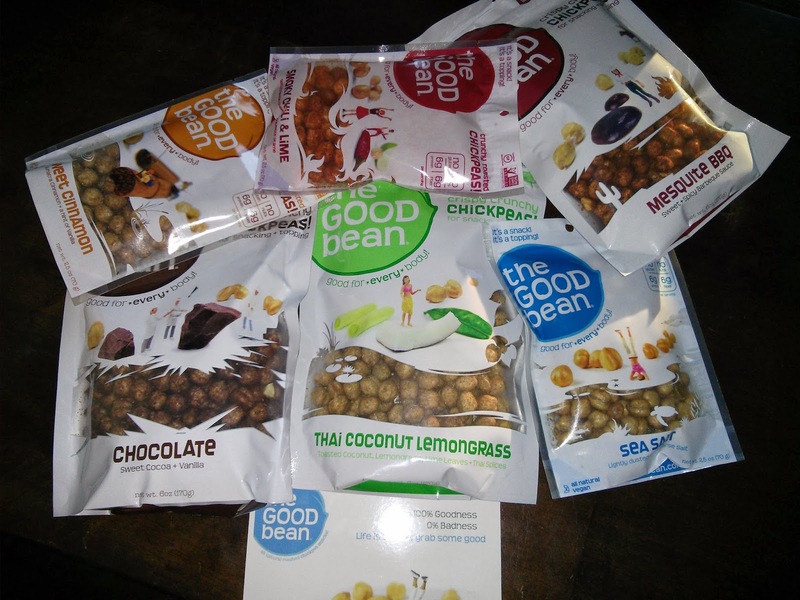 No beans about it, I am glad that I got my hands on some goodies from The Good Bean! 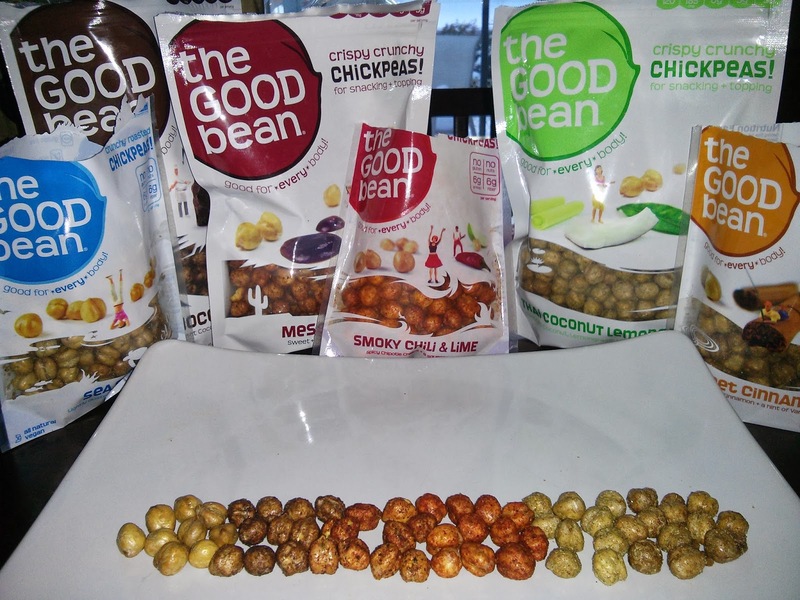 So here is the scoop, The Good Bean makes all natural, roasted chickpea snacks in a whole bunch of delicious flavors. Flavors like, Sea Salt, Cracked Pepper, Smoky Chili & Lime, Sweet Cinnamon, Mosquite BBQ, Thai Coconut Lemongrass, and Chocolate! Basically, any flavor that you fancy. Why snack on these chickpeas when you can get potato chips in lots of flavors, you ask? Well because just one serving of The Good Bean roasted chickpeas has as much protein as almonds, as much fiber as two cups of broccoli, and as much folate as three cups of spinach (hello prego mamas)! For just those reasons alone, makes these tiny crunch-machines superior snacks, but there is more. Taste The Good Bean rainbow! Not only are these portable and great for lunchboxes, briefcases, gym bags, lockers, desks, camping or hiking backpacks, you name it, the flavors are outrageous! Each flavor has a unique taste and texture also. Depending on your mood, you have flavors that range from simple to sweet to savory to complex. The Sea Salt has a smooth coating and is crunchy and smooth. Sea Salt is great for snackers who typically go for the plain or classic flavors but love the major crunch factor. For the sweet tooth there are flavors like Chocolate or Sweet Cinnamon. They remind me of healthy, candied nuts with huge flavor; what a smart way to snack when you are craving dessert. When you want savory and spicy you can choose Smoky Chili & Lime and Mosquite BBQ which are better than any potato chip that I have ever had. And as for the most complex of The Good Bean flavors, the Thai Coconut Lemongrass literally tastes like I'm eating at a Thai restaurant! It actually almost reminded me of Penang Curry Tofu! Another great thing about these roasted chickpeas is that your jaw has to do a lot of work to eat these! You can't possibly overeat these and even if you did it is healthier than scarfing down chips. Usually with snacks I can easily eat much more than the recommended serving size, however with The Good Bean I am completely satisfied after my one ounce serving, not to mention my jaw is completely tired! These are also great for people looking to lose weight or maintain their weight and have a snack obsession like I do! The Good Bean roasted chickpeas come in two bag sizes, a single serving bag to take on the go and a larger bag with a resealable zipper. And although snacking right from the bag is great, you can also enjoy these as salad toppers instead of croutons, in soups, mixed into vegan yogurt, over vegan ice cream (especially the chocolate - yum! ), to make your own snack mixes with, or any other way that you can think of! These would also be fabulous to put in pretty dishes or bowls to offer guests during cocktail parties. These are absolutely scrumptious and are now my new go-to snack! You can find The Good Bean at Whole Foods and other markets using their store locator or you can simply shop right on their website. The Good Bean offers FREE SHIPPING for orders amounting to $35 or more! That is easy to do when you stock up for school lunches, camping trips, road trips, college dorms or care packages, etc. I am so psyched about this great product and excited to make this a regular part of our family's snacking! And for now, the Dirty Vegan is signing off. I hope you have a crunchy, crispy, flavorful day! 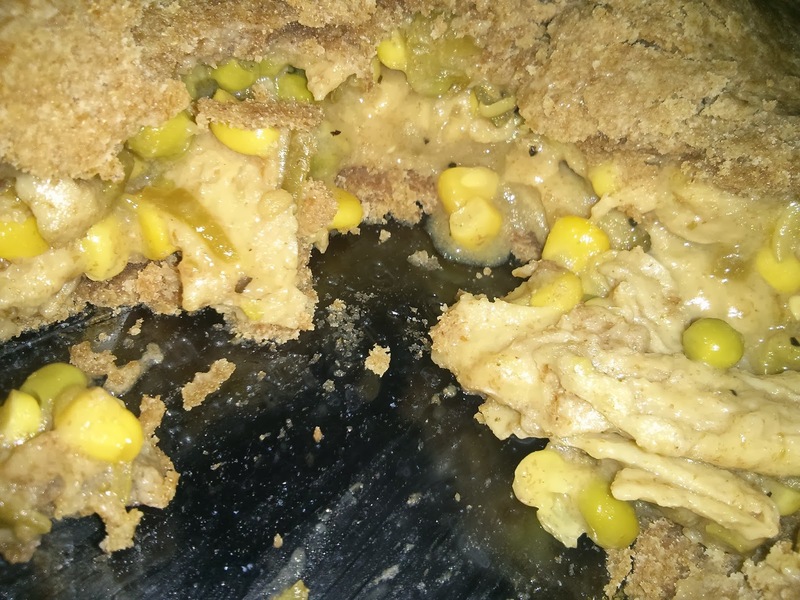 NEW Soy Curls and Yummy "Chicken" Pot Pie Recipe! Imagine this. Imagine a vegan protein that needed no refrigeration. No need to keep it cold and it has a very generous shelf life, unlike tofu and other vegan refrigerated or frozen products. Now imagine, you can take this vegan protein anywhere. It is compact. It can travel with you and it is even great for camping. You can make elaborate meals with it or just cook up a quick snack or "chicken" salad. You can stock your pantry with it and it is easy. I bet you wish that this product existed. Now imagine that it does exist. Imagine that I tell you it exists, it is here, and it is available to us vegan folk. I kid you not! 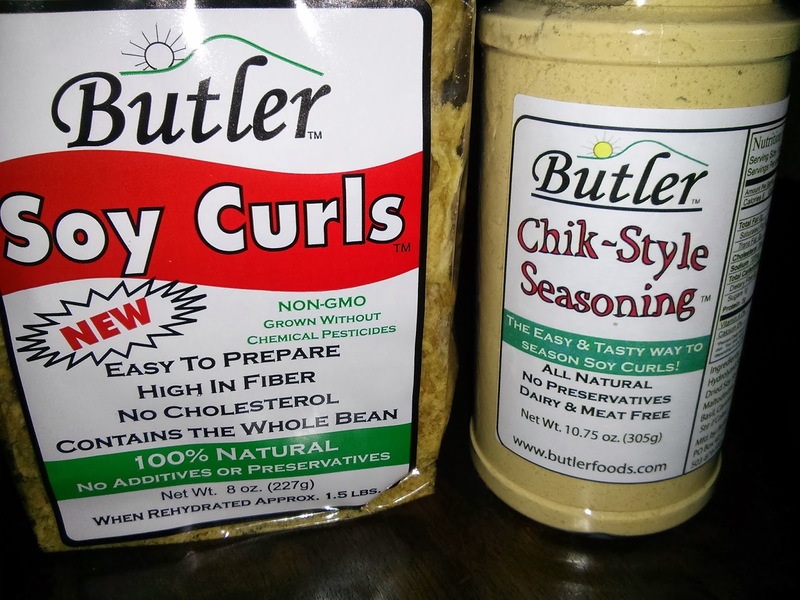 I recently got my paws on some Soy Curls and Chik-Style Seasoning from Butler Foods and let me tell you, this is HUGE for us plant-based eaters. Now let's talk about this crazy-awesome new product, shall we? Look at those chunks of Soy Curls! 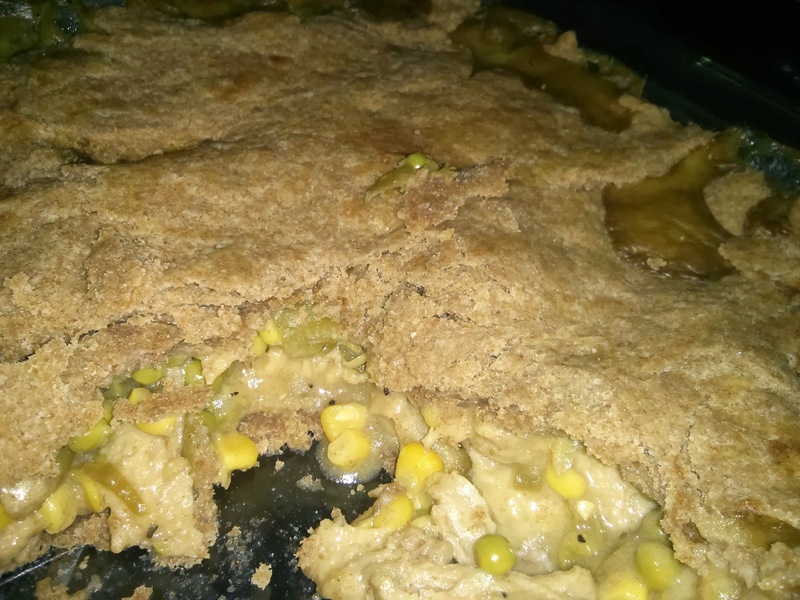 What I made here is a lovely "chicken" pot pie using Soy Curls and Chik-Style Seasoning. Before I share this delectable recipe with you, I would like to say that this is the first in my recipe series using Butler Foods. I plan on trying some of their own signature recipes, which include BBQ Soy Curls, Curried Rice (I cannot wait to try this one! ), Chik-Style Salad and Spread, and others. You can find these Butler recipes on their website and I will also be sharing them here as I make them. I will also be creating more recipes using these Soy Curls. I actually cannot believe that we lived without these for so long! We are also camping this year and Soy Curls will be in our camping bag for sure! I cannot believe how truly easy these would be to prepare while camping. All you have to do is warm a little water in a small pot on the fire or camping stove, soak the curls for 10 minutes, drain the water out of the pot, and your vegan protein is ready to use in whichever way that you choose. Preheat oven 375 degrees. Lightly grease a 9x13 glass baking or casserole dish. In a large bowl, combine flour and salt then add canola oil and mix. Add as little or as much of the cold water until you achieve dough consistency. Take half of the dough and to use for the bottom crust, and set the other half aside. Evenly distribute dough on bottom of baking dish and push it up the sides. Bake crust in oven for 20 minutes. In a sauce pan, melt vegan butter and cook corn, green beans, and peas for about 10 minutes on medium heat, stirring frequently. Stir in flour and stir constantly for 1 minute. Stir in broth and vegan milk and cook on medium heat until bubbly, stirring frequently. Add in your soaked and drained Soy Curls, Chik Seasoning, salt, and pepper, stir and remove from heat. Add mixture to your baking dish and top with remaining half of dough. Bake for 35- 45 minutes. Let pot pie sit for a few moments to set and enjoy! The Soy Curls transformed into a plump "chicken"-like strip. The curls were so tasty and the Chik-Style Seasoning gave the pot pie such a delicious and authentic flavor. The 2 tbsp of seasoning went a long way as well. What a delicious find! I am so glad that I found out about Butler Foods! Delicious Review, Treat for YOU too! 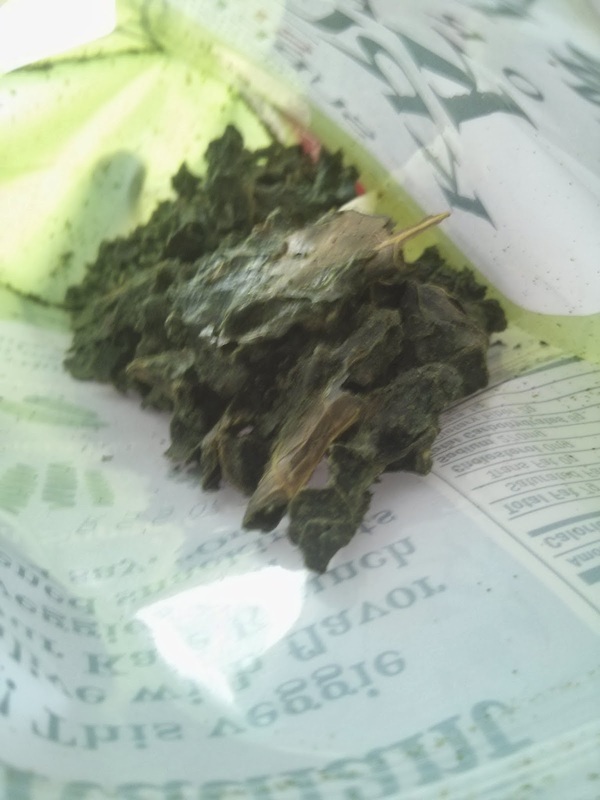 Kale chips, it is! 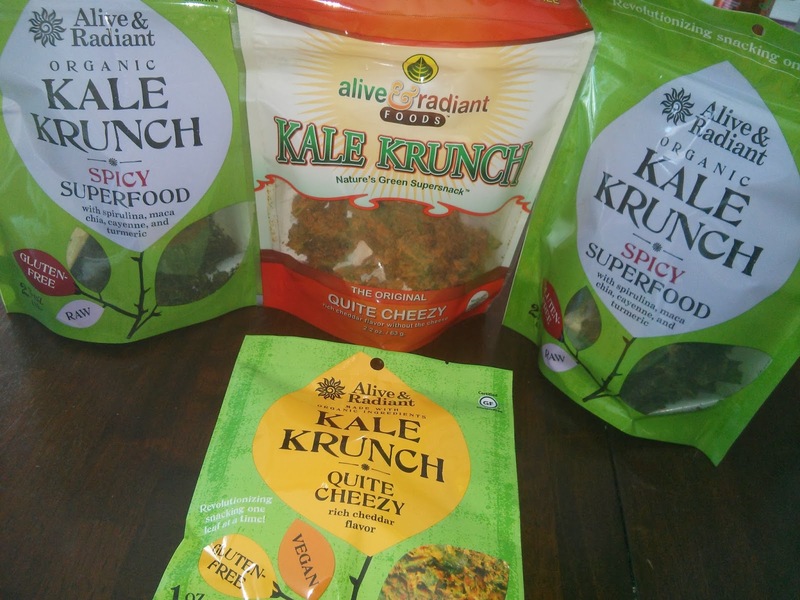 Kale Krunch from Alive & Radiant/ Kaia Foods! Let me first say, kale is a super food. Kale is high in iron, vitamin K, and low in calories. It is also loaded with antioxidants and is a great source of calcium, vitamin C, and vitamin A. It is a great detox food (yeah we all know swimsuit season is fast approaching, please don't remind me that my detox diet should be starting soon)! With all that being said, Alive & Radiant Foods does kale like no other - did you hear me - NO OTHER. I'm salivating at the very thought of these, ever since the first taste. Kale Krunch makes it easy to detox and live healthy; when you have snacks like these to eat, you are good to go! I tried the Quite Cheezy flavor first (pictured above), and fell in love. These kale chips have red bell peppers, organic cashews, nutritional yeast, and chia seeds, adding to the super food qualities. What a super snack! With significant vitamin percentages, protein, and fiber, for a cheezy snack, you just can't go wrong with these. But above all else, these taste downright DIRTY delicious! I felt like I was doing something wrong as I was inhaling these kale chips... then the energy boost kicked in and I seriously felt like my body was absorbing every single calorie of these delightful chips for the sake of good. These just feel good for my body. Period. Here is a peek into the Spicy Superfood flavor bag. These are mighty spicy, but in a wonderful way. 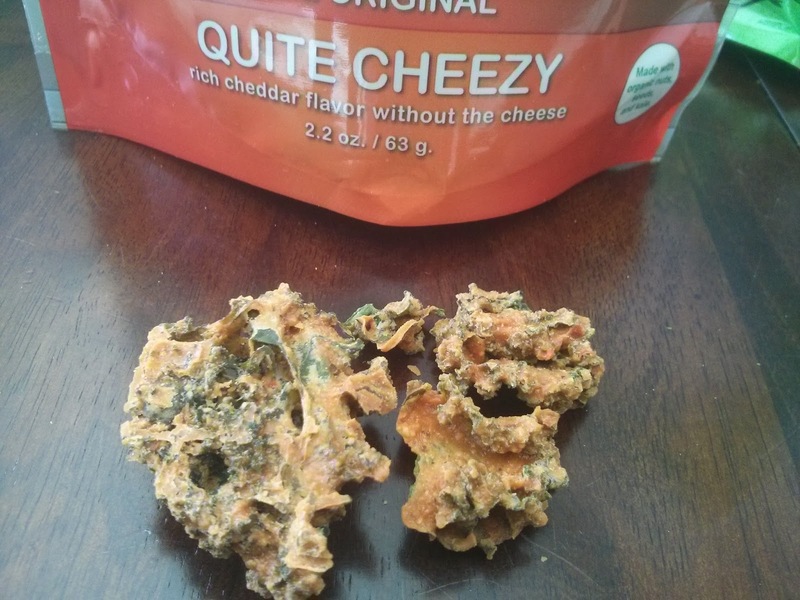 I've eaten spicy before, and this Kale Krunch had my nose running, but my mouth was not at all on fire. These are yummy-licious but also pack a nutritional punch with ingredients like cashews, chia seeds, nutritional yeast, spirulina, turmeric, maca root, and cayenne. All of which, are fabulous health foods. I got a nifty boost of energy from these especially, and just had a great time munching on them. Both flavors are amazing, but if I had to choose, I would pick Quite Cheezy as my fave. Let's hope I never have to choose and they make both flavors forever and ever. For the sake of honest journalism, I must report the only drawback to these snacks. I had lots of kale in my teeth and all over! Did I mind? Not a chance! For these delicious green goodies, I would cover my body in kale. You are probably thinking, where do I get my hands on these scrumptious little morsels? Well, you can go to Kaia's Alive & Radiant Store (http://shop.kaiafoods.com/) AND I have one better for you. Since you know you are going to buy these anyway, I have a real treat for my awesome readers! Use the coupon code "thedirtyvegan" and you will receive 10% off of your next purchase of $20 or more. If you are anything like me, you'll need this code because you will likely make these kale chips a part of your daily routine. After one bite, you will understand. If they had these when I was growing up, I would have never even touched a potato chip or cheese curl! And for now, the Dirty vegan is signing off. I hope you have a cheezy, kale-filled day! 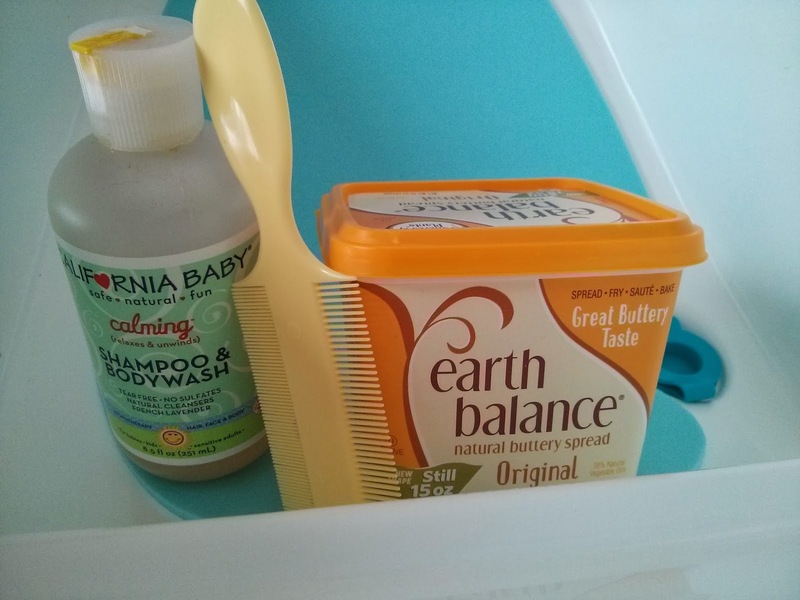 How I Cured My Baby's Cradle Cap Naturally! Please note: I was careful to ensure my baby was not allergic to the ingredients in the butter. I was careful not to get any in her eyes as the butter melts right in on contact. I used a soft and gentle brush and method. If you suspect your child has a skin condition, you should consult with their doctor prior to trying any remedies as you do not want to misdiagnose the problem and not treat the issue properly. If your doctor has confirmed that your child truly does have Cradle Cap, you should ask him/her about using a natural remedy such as this one. Voila! I actually did not expect this to work as well as it did and was pleasantly surprised! All of the Cradle Cap came right off as soon as the butter melted in, in the baby comb, and when I washed her hair. No more cradle cap; I cannot believe it! If it does end up coming back, I will do this again, but so far it seems to be gone forever. It was a gentle, easy, and natural remedy of clearing this up. Some babies have to be treated with prescription creams, ointments, or medications that sometimes don't work. I'm so happy that we were able to cure this naturally. Baby's hair and scalp look healthy and her hair even looks thicker now. I think her hair is able to grow much more easily without the dry patches blocking it's way. What a great remedy! And for now, the Dirty Vegan is signing off. French Lavender smelling babies forever! This recipe has such complexity in it's flavors that you really need to make it to truly understand. My inspiration for this was the lovely flavor compliments of cheese, nuts, and fruit; the savory and the sweet. You will love this recipe! Enjoy! Preheat oven 400 degrees. In a baking dish, toss olive oil and brussels sprouts, sprinkle salt and pepper on them, then bake for 35 minutes stirring once. Then mix in brown sugar, nuts, and fruit, and bake for 5 more minutes. Cook shell pasta according to package directions, drain, and mix with olive oil back in pan or in a large bowl. In a saucepan melt vegan butter and whisk in flour, then whisk in vegan milk, cream cheese, and parm and heat on medium until bubbly, stirring frequently. Once bubbly, remove from heat and season with salt and pepper. 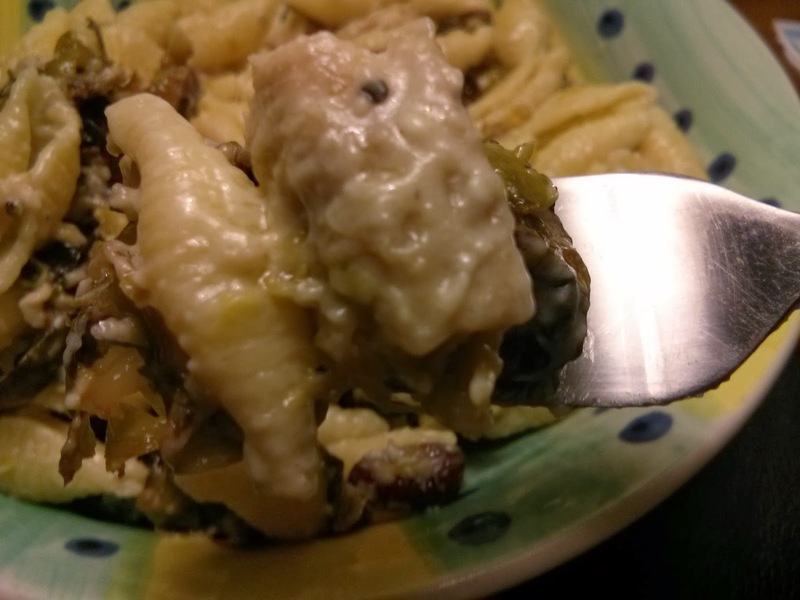 Pour cheese sauce over pasta and mix well. Toss in brussels sprouts and veggie burger chunks and serve immediately, Enjoy! 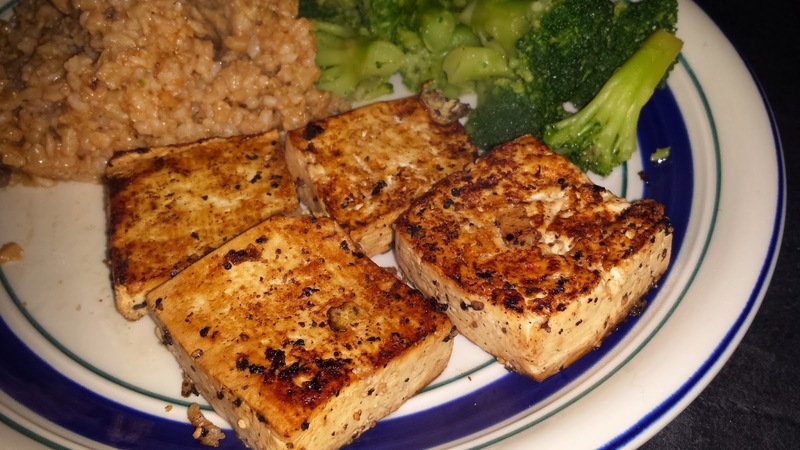 Oh, Just a Cola Tofu Recipe! As you may already know, I've declared my love for Zevia soda from the rooftops. 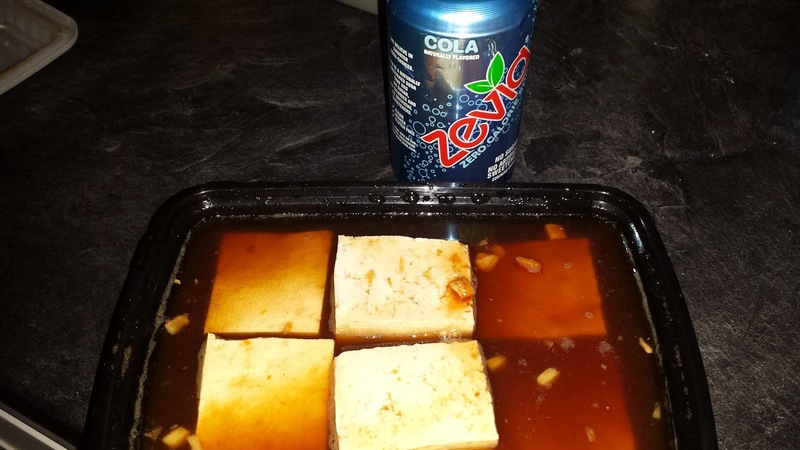 With that being said, I am continuing my Zevia recipe series with this soda tofu recipe. This came out amazing on the griddle, however it can be done in a pan or even baked in the oven. 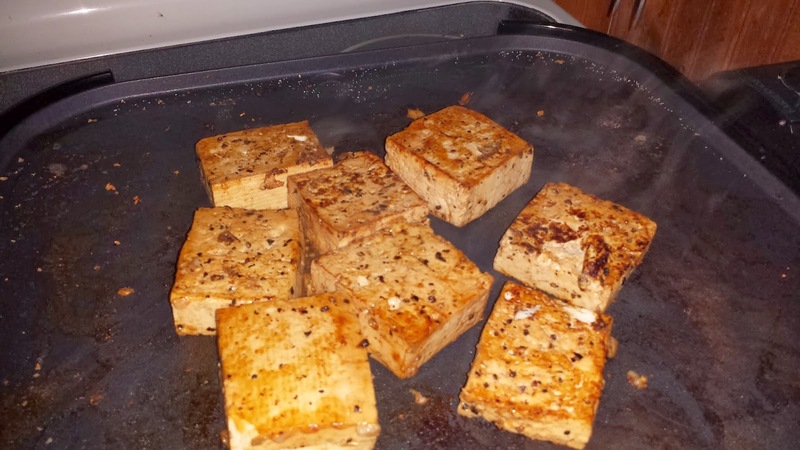 The Zevia soda makes a delightful crusted coating on the tofu and adds sweetness to the recipe without adding sugar or extra calories. This is a great recipe for when you are trying to eat lighter or to fuel up on protein before or after the gym. 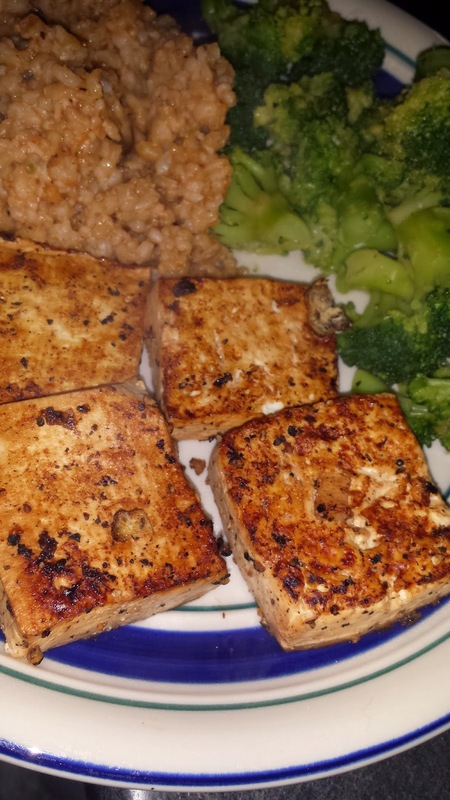 We enjoyed this tofu with brown rice and a side of broccoli, however you can even make this tofu by itself as an appetizer. You may even want to make this tomorrow for game day.